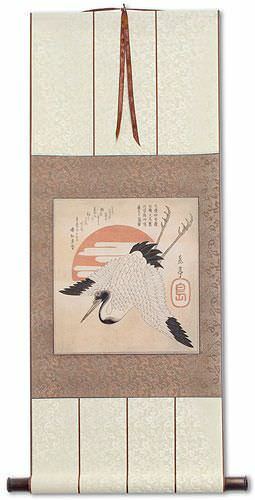 91.4cm x 61cm ≈ 36" x 24"
The title in Japanese is 神奈川沖浪裏, which romanizes as, "Kanagawa oki nami ura." 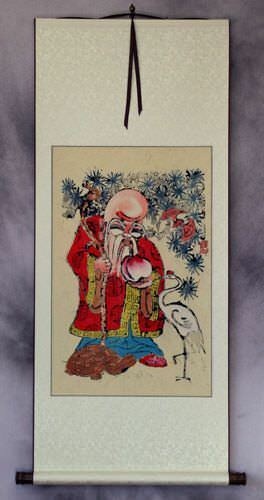 In Chinese it romanizes as, "Shénnàichuān chōnglàng lǐ." 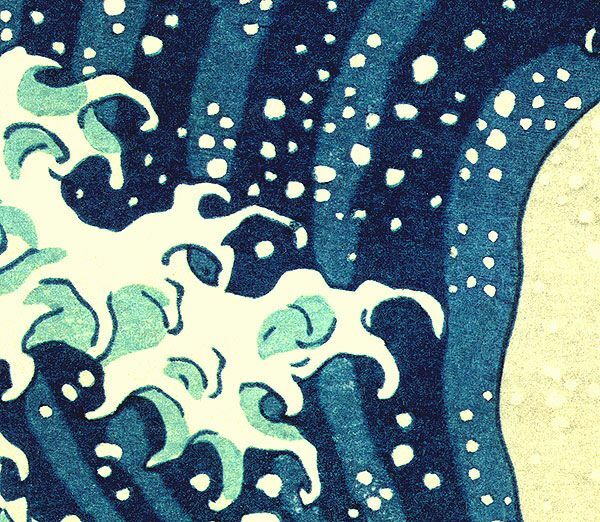 The meaning is more like, "The backside (or draw/well) of a wave in the sea of Kanagawa." 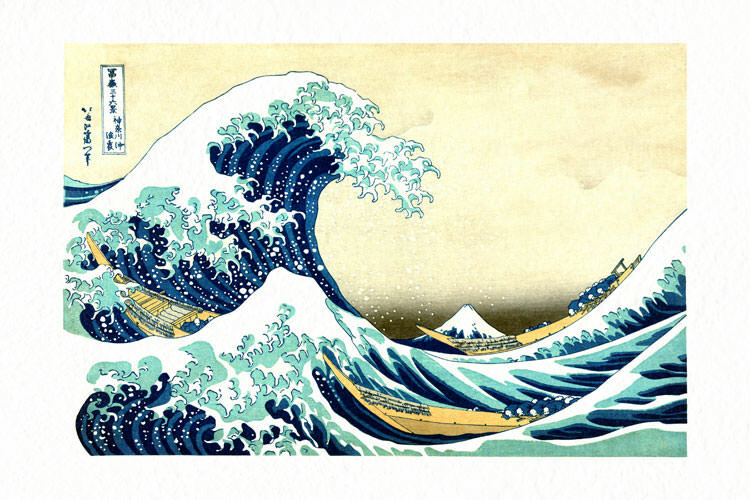 Others will translate it differently, and in the west, this artwork is often known simply as, "The Wave." The print have an outside edge that will fit a standard North American picture frame size. The print is offset with a bit of a margin (space for matting, or mount in the frame as-is). Show here is the 20" x 30" size. 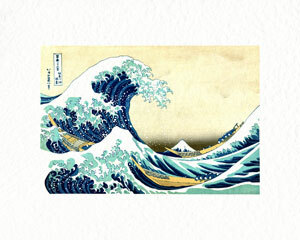 The original work was a woodblock print by the Japanese artist Hokusai. It was created around 1831 during Japan's late Edo period. This was part of a series, "36 Views of Mount Fuji." Undoubtedly, this is Hokusai's most famous print, and perhaps the most famous Japanese woodblock print in the world. The artwork depicts a huge wave, ready to swallow the souls aboard small boats off the shore of Kanagawa. Original prints that are now 185 years old exist in New York's Metropolitan Museum of Art in New York City, The British Museum in London, Claude Monet's house in Giverny, France, and a few others. Rarely, those old prints come up for auction and fetch prices of $20,000. This reproduction that I have created "in-house" will cost you a whole lot less, and is available in larger sizes. There is plenty of original detail in this reproduction print. The 16" x 20" frame version has a wider margin, and the print impression is the same size as the original (about 25.3cm x 37.2cm or 10" x 14 21/64"). The dimensions shown on the large image near the top of the page are for the largest size that I offer. This reproduction is available in 4 sizes. If you need a custom size, or a reproduction of a different Japanese woodblock print, just let me know. I can customize the paper type, size, and even mount as a wall scroll if you want. Legend has it that about 1,500 years ago the Paper Goddess (Kawakami Gozen) taught people in this area how to make paper with the natural materials from special plants called Kozo (Mulberry). 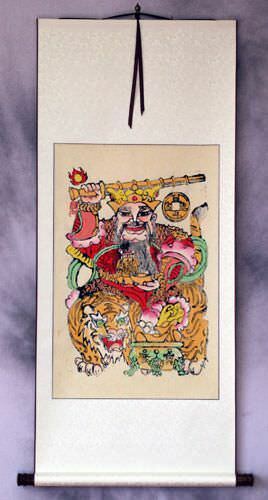 It is thought that the historic Kawakami Gozen might have been from Korea or China. At the time, many passed through from China to Korea to Japan, and brought with them many practices of arts, crafts, calligraphy, and religion. A foreigner such as this would have the allure of a goddess at that time in history. The Echizen Paper Village has actually grown into 5 villages over the centuries. 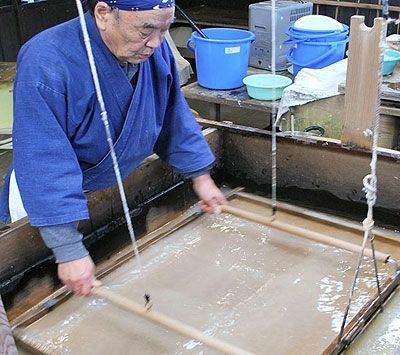 There are at least 20 washi paper-making workshops and factories in the area. Virtually everyone in Echizen works in support of the paper-making industry. There are paper factory tours in Echizen for a modest cost (about $3). I recommend you try that if you find yourself in Japan's Fukui prefecture. 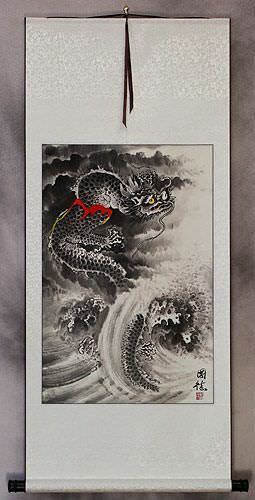 These reproductions are made using the highest-quality Japanese-made fine art paper. This natural-color (unbleached) paper is made of kozo (mulberry) and pulp in the village of Echizen, Japan. The weight rating of the paper is 150 grams per meter, which is fairly heavy, but can still be rolled for shipment. This thickness makes framing much easier than a thinner kozo or rice paper. I tested more than two dozen papers before I determined this was the best for ease of framing, quality of texture, and natural color. 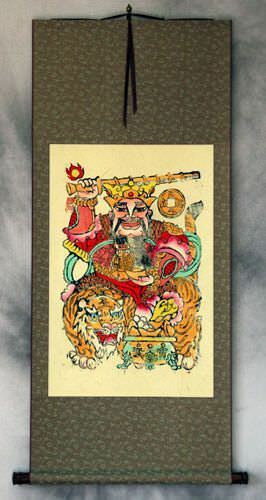 Yes, I am cheaper than AllPosters.com, and I use real Japanese kozo paper and the best archival inks (they use cotton-based watercolor paper). Here, you are buying a quality print from an Asian art fanatic. This paper is coated to receive pigment ink in the Giclée printing process. The combination of this paper and ink is expected to last up to 200 years if not exposed to direct sunlight. What people don't realize is how small Japanese woodblock prints are in the original form. Most of them are around 25cm (about 10") on the short edge. I offer reproductions of the original size, as well as much larger sizes. In order to create larger-sized reproductions, I have purchased many original prints (some up to 250 years old) to create high-resolution digital images. 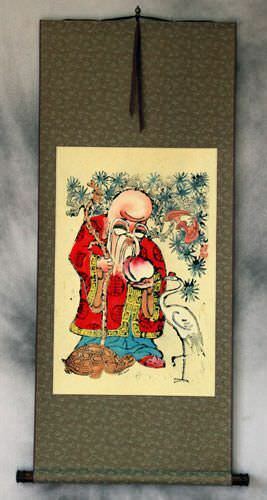 In many cases, I have acquired licenses to use high-resolution images from other collections of woodblock prints. Some of the original prints cost $5000 or more, so it's not practical for me to purchase hundreds of them. I strive to make the final image as much like the original print was 180-250 years ago. I do remove flaws (some orginals have developed holes, discoloration, foxing, or stains). I leave the appearance of the traditional woodblock printing process (original color bleed), but I repair the flaws before I make these reproductions. In some cases, I go pixel by pixel for up to 5 hours to get the image I am printing to be perfect. I always leave a margin on the paper in the size of a standard frame in the USA. This makes it easier and cheaper to frame for you. You can either cut appropriate matting, or use the paper margin in lieu of matting. Always note the size of the printed area is smaller than the frame size the print is intended for. If you want minimal margins, and a larger print area, just let me know when you buy. If you need a custom size, just contact me. I can print up to 44 inches x 50 feet on a variety of fine art paper types.